The Willamette River which lies in the valley of its name sake forms out of the Cascades, Calapooias, and the back side of the Coast range. She hosts wild redband rainbow, and cutthroat trout, spring Chinook, along with summer and winter steelhead. The McKenzie, Middle fork of the Willamette, and Willamette are within the Eugene/Springfield area and really have some world class trout fishing, along with some great hatchery summer steelhead fishing. To the North lies the Santiam and Clakamas drainages. The Willamette especially fishes well swinging flies with double or single handed rods and floating lines, which can be a lot of fun, some of my favorite runs are literally right in town. 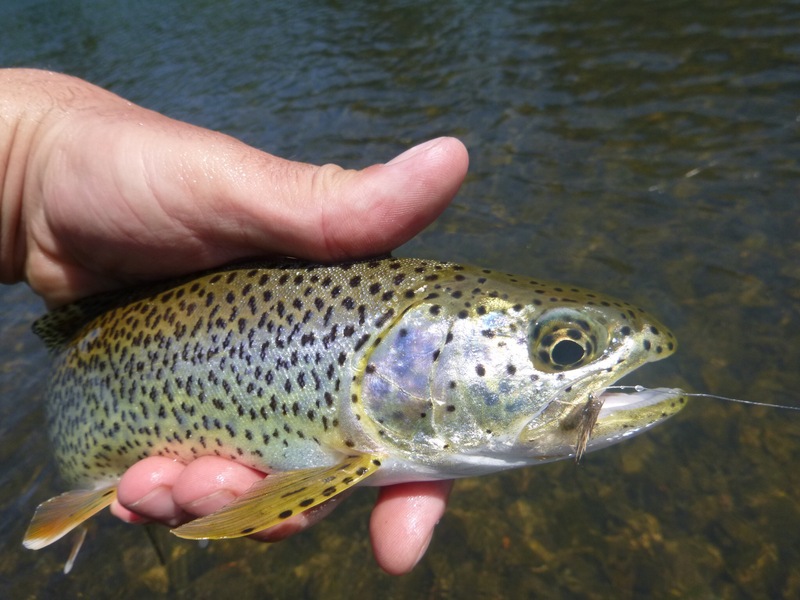 The trout fishing can be good all year, but really depends of the insect hatches and weather. I have had great dry fly fishing in February, and it seems like when you have a hatch in the winter every trout in the river is interested in eating. These fish are healthy, wild, strong, and colorful. Winter trout fishing is decent, but as temps rise in the spring, coastal steelhead fishing slows down, and the valley trout fishing gets very good, with a variety of hatches, and being able to wear short sleeves and float down the McKenzie river in a McKenzie boat, I’ll just say its comfortable, fun, and you have a great chance for action. Along with this break from the winter rains and the increase of trout action also comes the fresh summer steelhead. 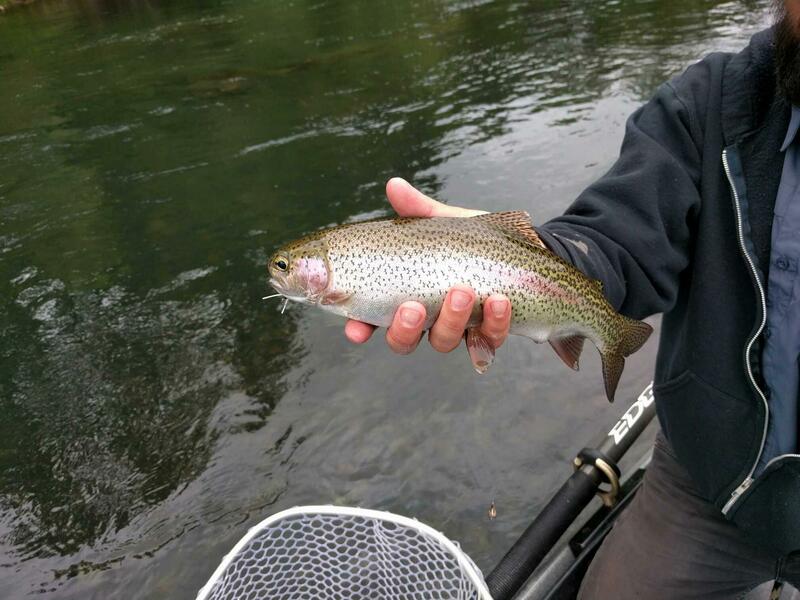 The Willamette and McKenzie are known for having some of the larger summer fish in Oregon, they are grabby and again they take a swinging fly very well. The trout fishing and summer runs just keep getting better until June, when I head to Alaska. If your interested in fishing in the Eugene area during the summer, I can refer you to some really good guides.